An invaluable, next generation, multi-purpose dressing aid for use in the treatment of most diseases, injuries and conditions of the skin, leg and associated tissues of horses and other large animals. 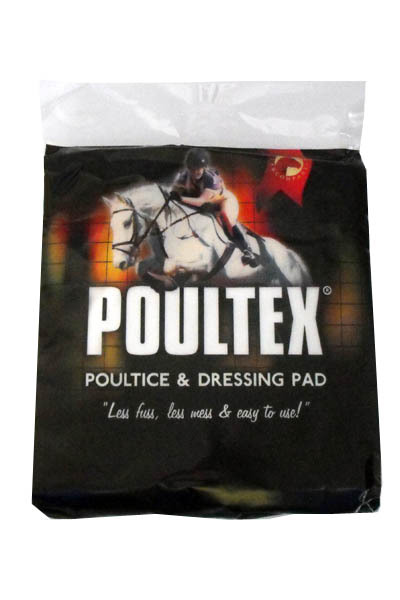 Prepare Poultex® like a traditional poultice but with less fuss and less mess than ever before. Use dry, or activate with water and apply as a hot poultice or cold compress.